China's central bank became the new custodian of all customer funds deposited by third-party payment groups starting from Monday, tightening control of mobile payment transactions and clearing. The central bank will pay no interest on the reserved money, the amount of which reached 1.24 trillion yuan ($183 billion) in November 2018. This marks the end of the era in which payment platforms invest customers' funds freely to earn interest returns, and the new policy could squeeze a large part of the profit of the payment groups, said analysts. The regulation on third-party payment groups' customer funds is now under further revision, as legal guidance for the platforms to explore new moneymaking models, according to some advisers who participated in the revision procedure. "The refreshed regulation should encourage payment groups to create new business models and upgrade payment technology, but not constrain innovation at the excuse of preventing risks," Yang Dong, director of the Fintech and Internet Security Research Center at Renmin University of China, told China Daily. 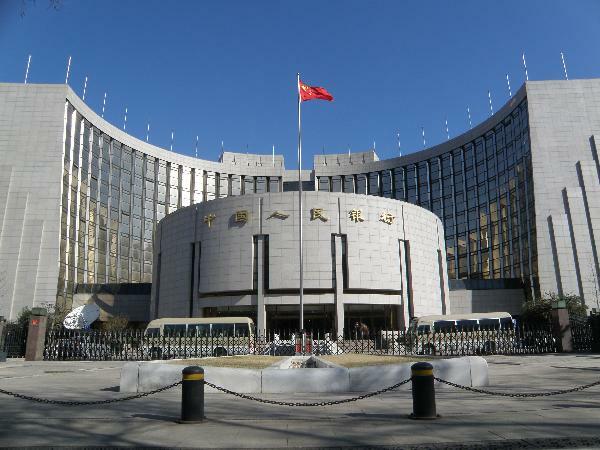 Fan Yifei, deputy governor of the People's Bank of China, the central bank, has confirmed that the management rules on payment companies' reserved customer funds is being revised. The PBOC's balance sheet showed that "deposits of nonfinancial institutions", which refers to the deposits at the PBOC by payment institutions, increased to 1.24 trillion yuan by the end of November 2018. It was only 123.8 billion yuan in January and rose 10 times within 11 months. Before the new requirement, third-party payment groups were able to earn significant revenue through investing customer funds in mutual funds, peer-to-peer loans and other wealth management products, after depositing funds in commercial banks' accounts. Users usually store some money on payment platforms for a certain period after receiving it but before transferring into bank accounts, which accumulates a "capital pool" for further investment. Alipay, the country's top third-party payment tool by market share, said it has implemented the requirements of the central bank on 100 percent deposit of its total client funds, cut direct ties with banks and canceled the bank account for reserve funds by Monday. "Alipay will continue to maintain the healthy, steady and sustainable development of the industry under the guidance of the People's Bank of China, and provide more inclusive, secure and convenient services to consumers and micro and small enterprises," the company said in a statement to China Daily. Tenpay, the payment affiliate of Tencent Holdings Ltd, also said it has "basically completed all settlements via the central custodian by the end of December". The PBOC said that, by the end of last year, 99 percent of the third-party companies' payments that previously processed bilaterally with commercial banks, have been transferred into a centralized clearing system. The function will be performed by two State-owned clearing houses－NetsUnion Clearing and China UnionPay, with the latter mainly focusing on bank card payments. According to Wen Xinxiang, director of the PBOC's payment and settlement department, the new policy is a significant reform, part of the ongoing campaign to crack down on internet finance risks, as some illegal activities of using reserved customer funds threatened market stability. "Unifying supervision will improve the efficiency of clearing, lower payment costs, and ensure the safety of reserved customer funds," said Wen. The move is inevitably a drag on revenue to most third-party payment firms, as interest generated from reserve funds normally contribute to a sizable portion of income for small and medium-sized players, said Neil Wang, president of consultancy Frost & Sullivan in China. "By putting the funds into special accounts designated by the central bank, the payment firms can no longer earn interest on the reserved funds. Meanwhile their bargaining power with banks will be greatly affected," he said. But by crowding out smaller players, bigger companies can weather the storm by introducing more technology-driven and value-added financial services, Wang said. China's central bank became the new custodian of all customer funds deposited by third-party payment groups starting from Monday.